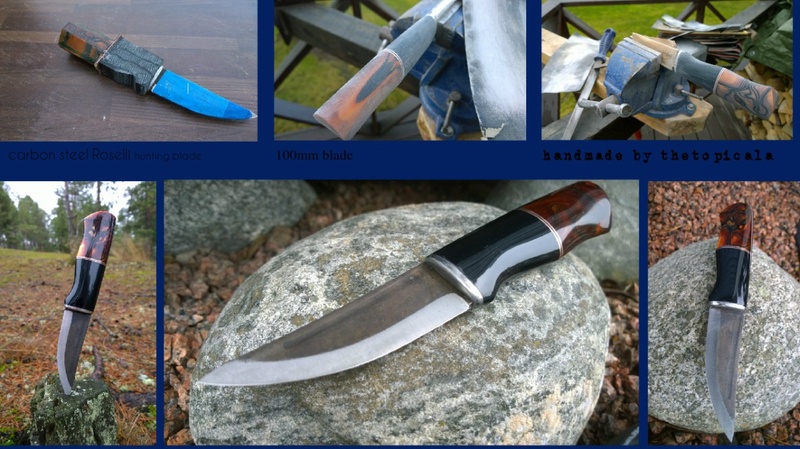 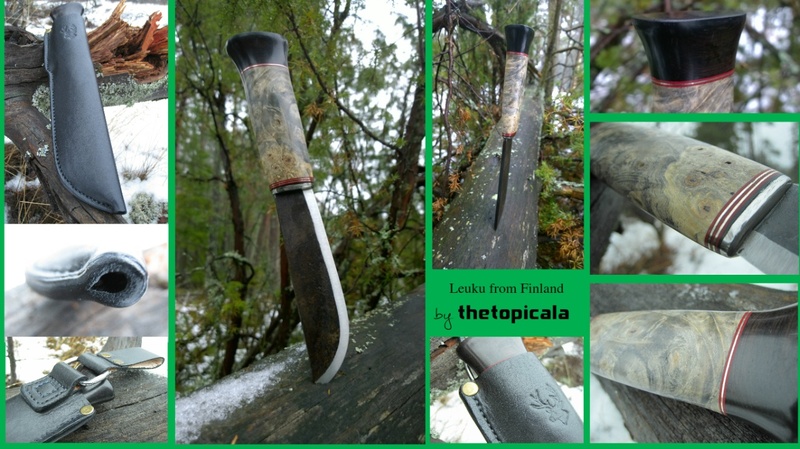 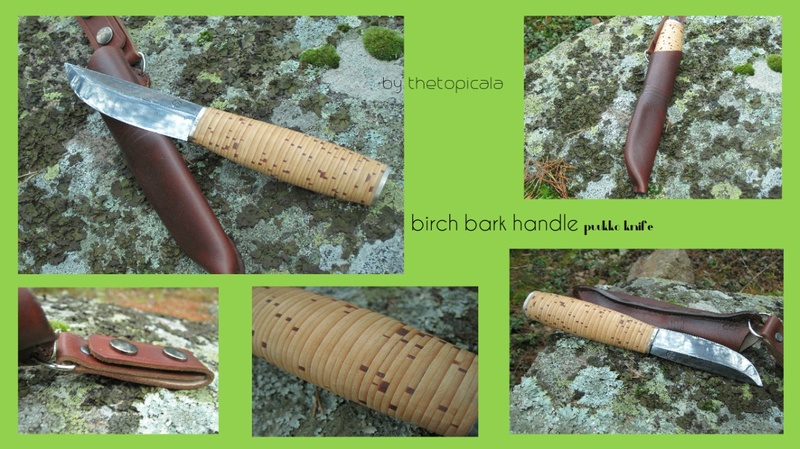 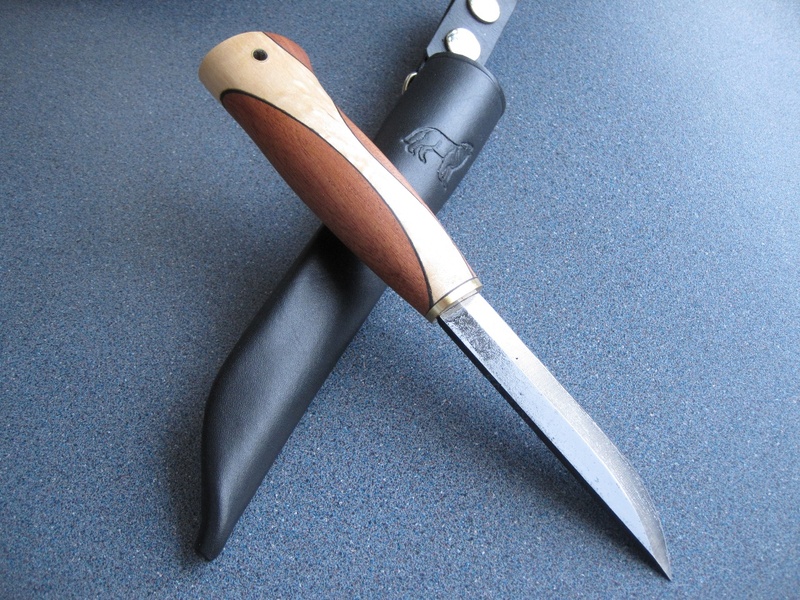 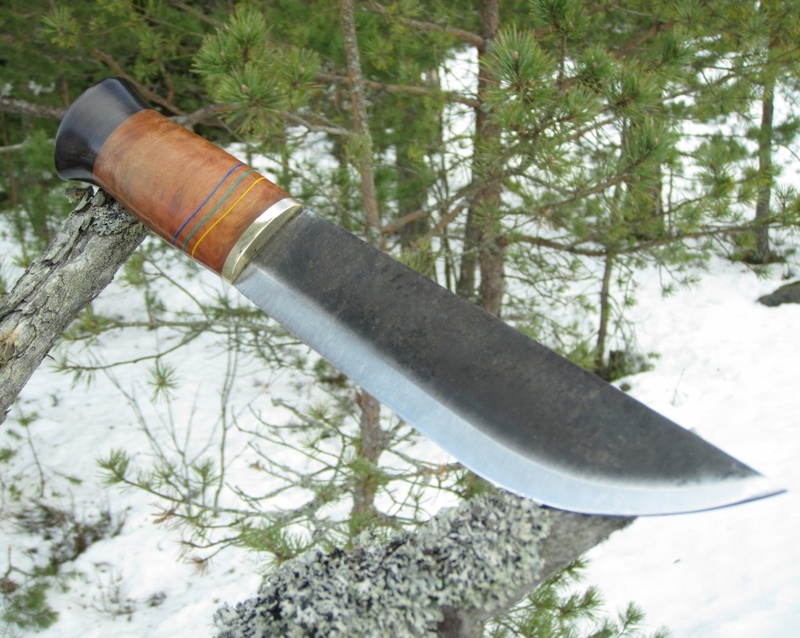 Puukko. 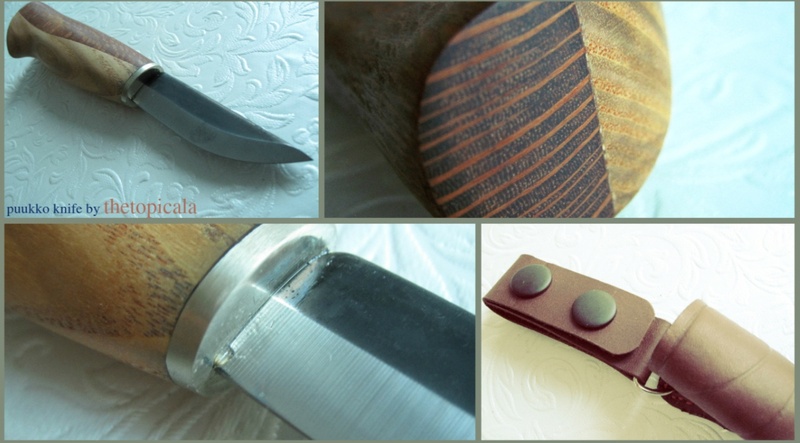 Carbon steel. 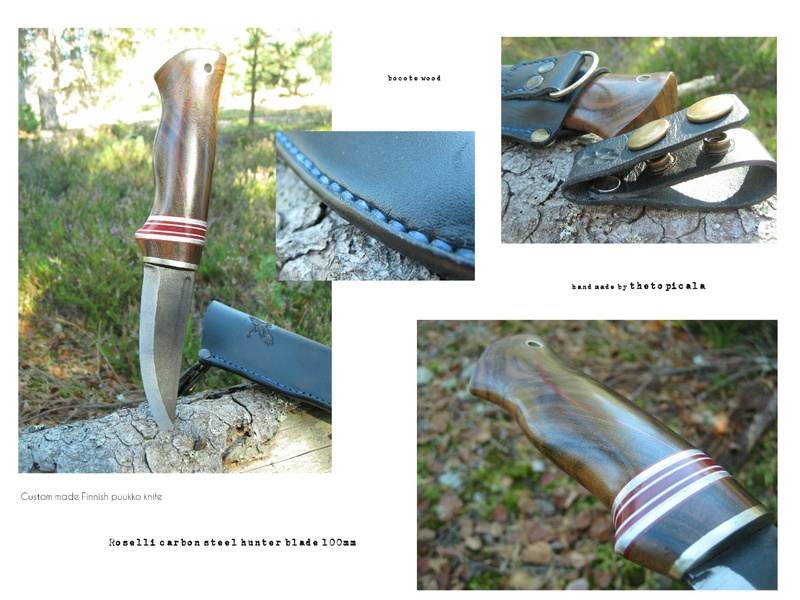 77mm blade. 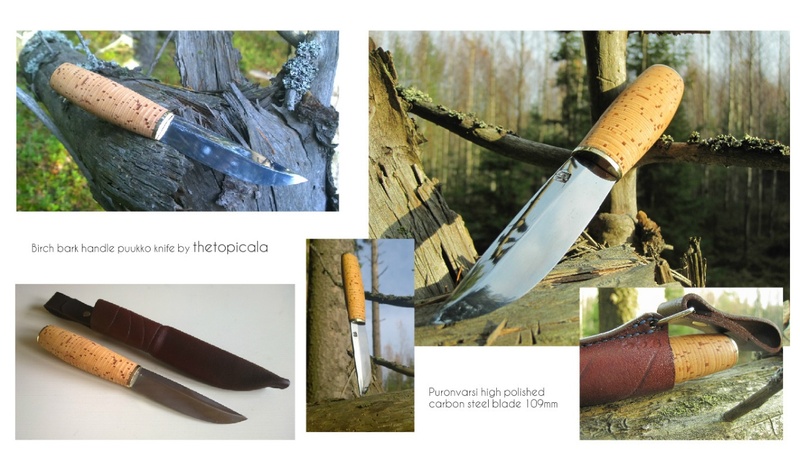 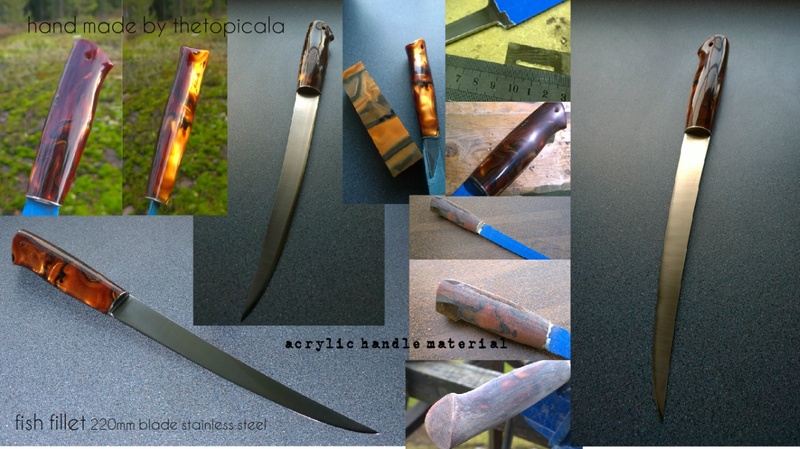 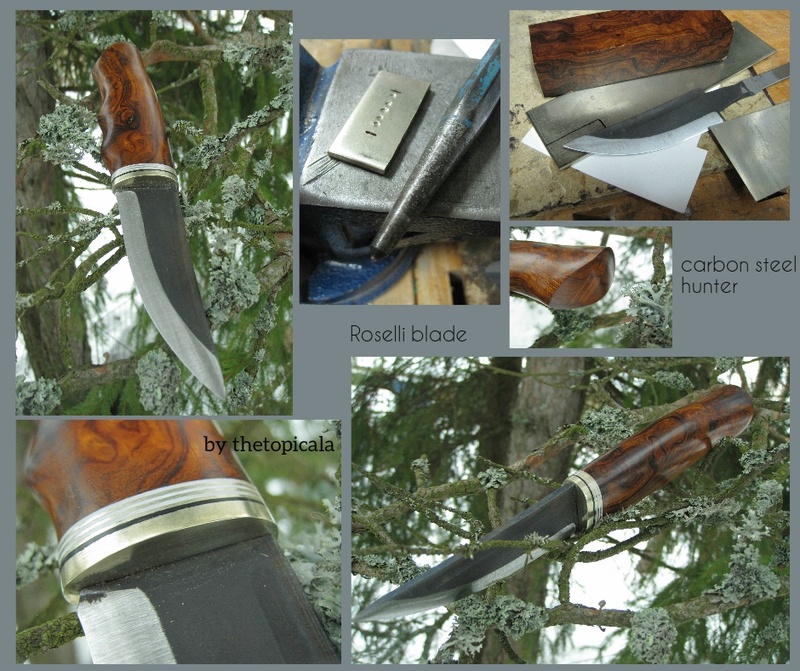 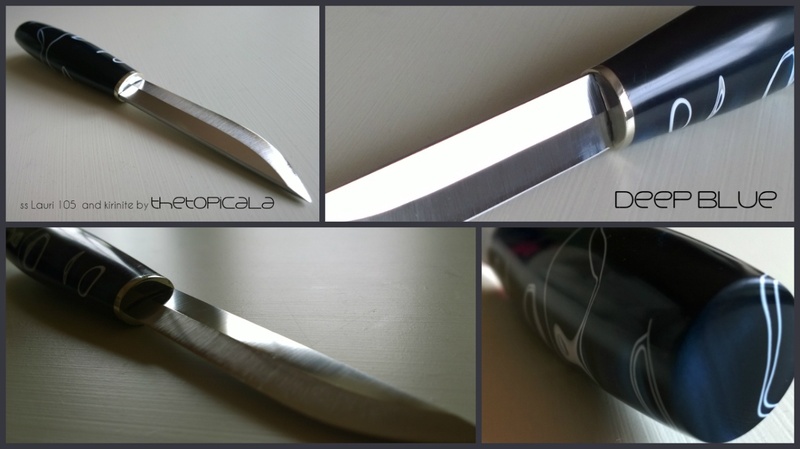 Carbon steel Roselli long 140mm blade and masur birch (tar oil treated). 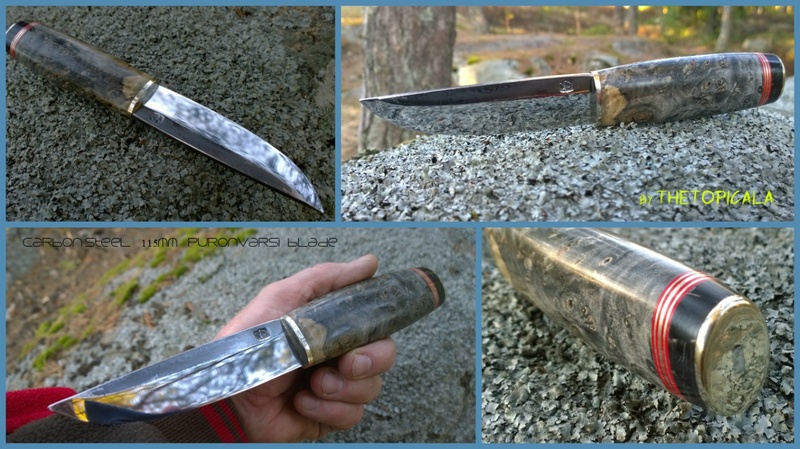 Lauri blade stainless 105mm and blue Kirinite material. 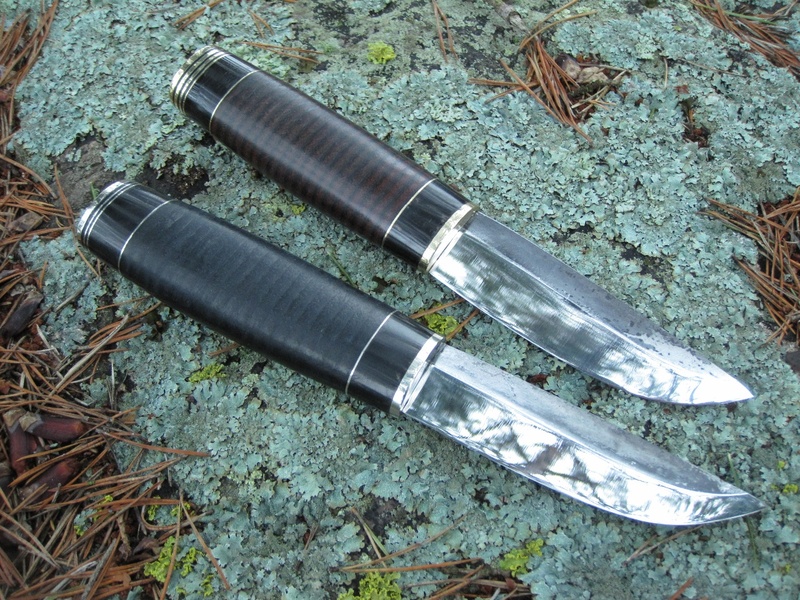 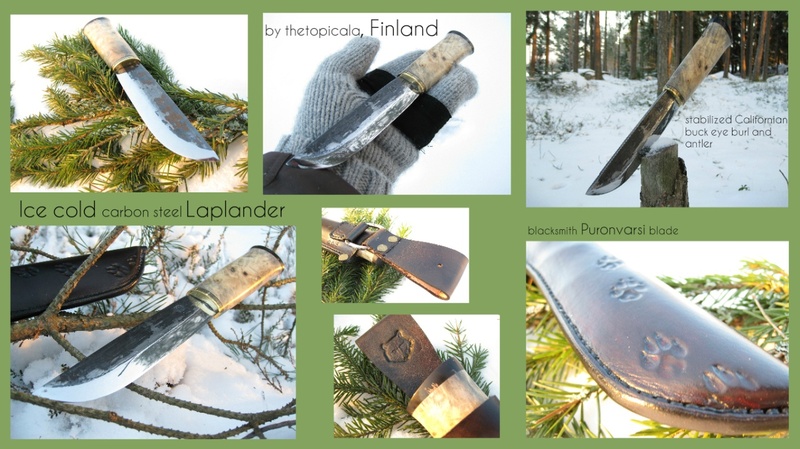 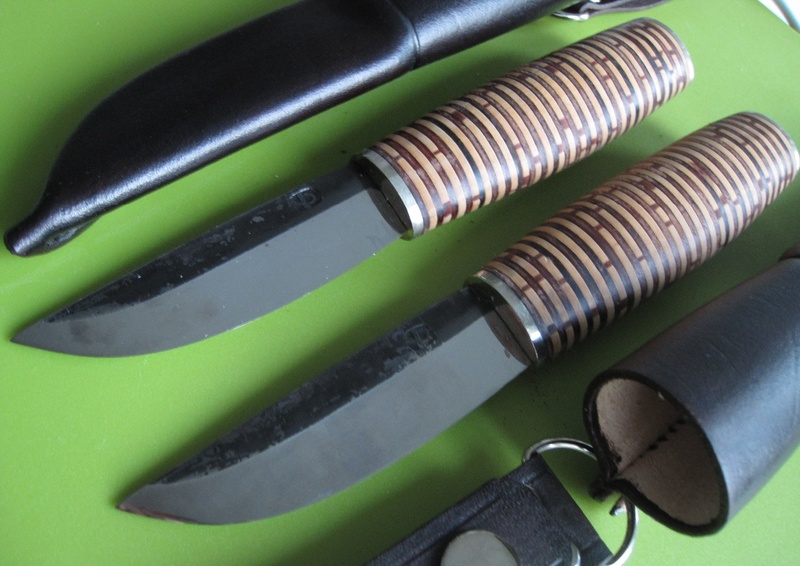 Two custom Puronvarsi hunting knifes. 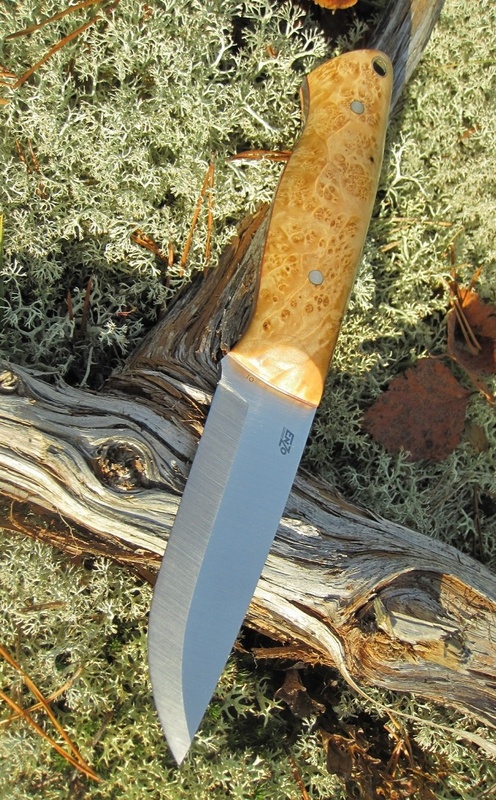 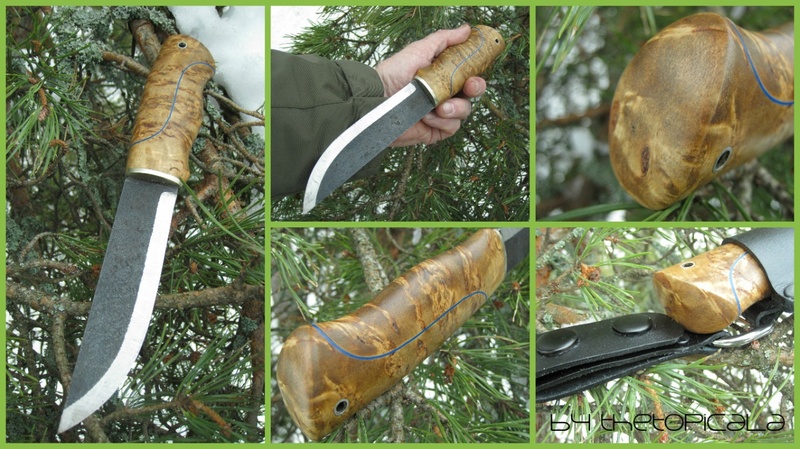 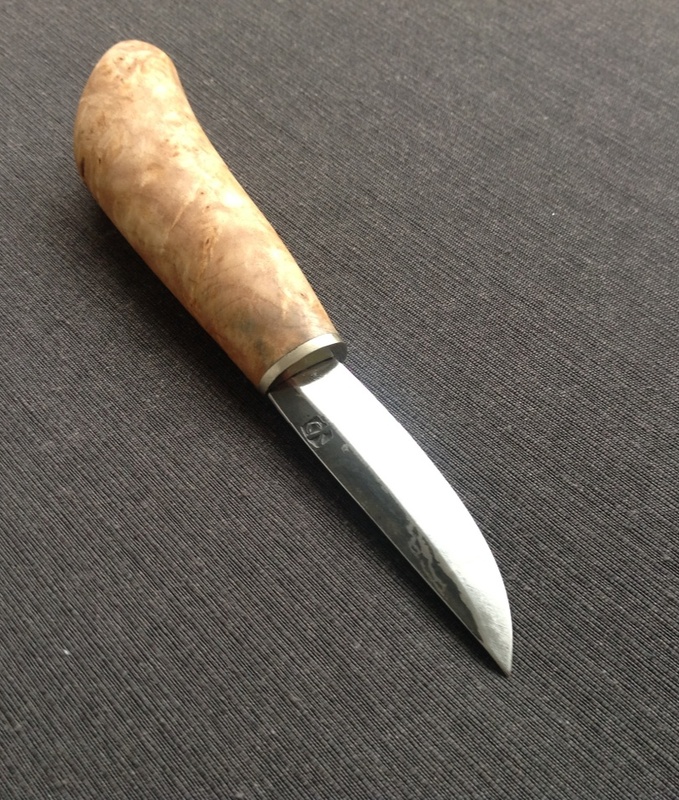 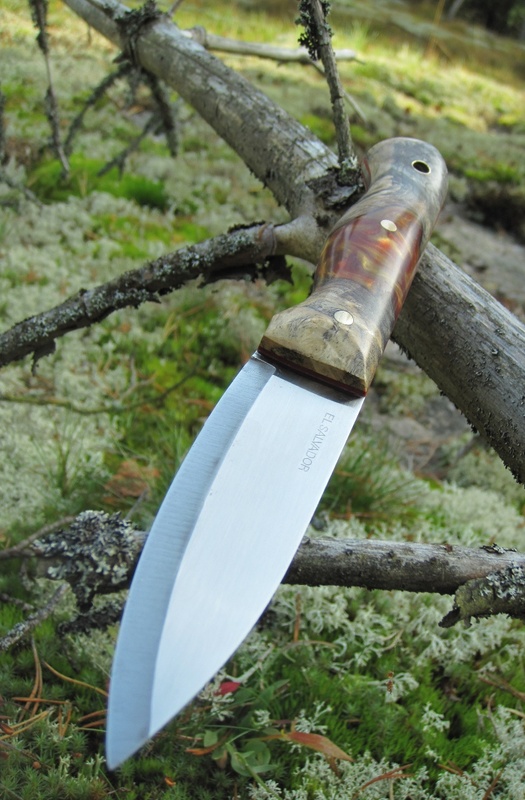 Puronvarsi leuku laplander knife, stabilized buck eye burl wood and antler. 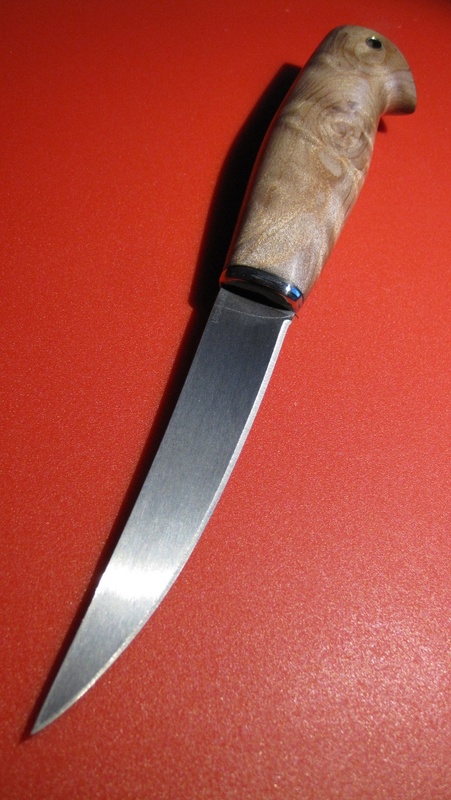 Small Roselli laplander blade and stabilized buck eye burl wood with grenadil end knob.